The most fashionable bar in Marrakech from Spring 2012 to its closure in 2016 was the aptly named Djellabar (a pun on the traditional moroccan djellaba robes worn to keep the locals warm in winter and cool in summer). 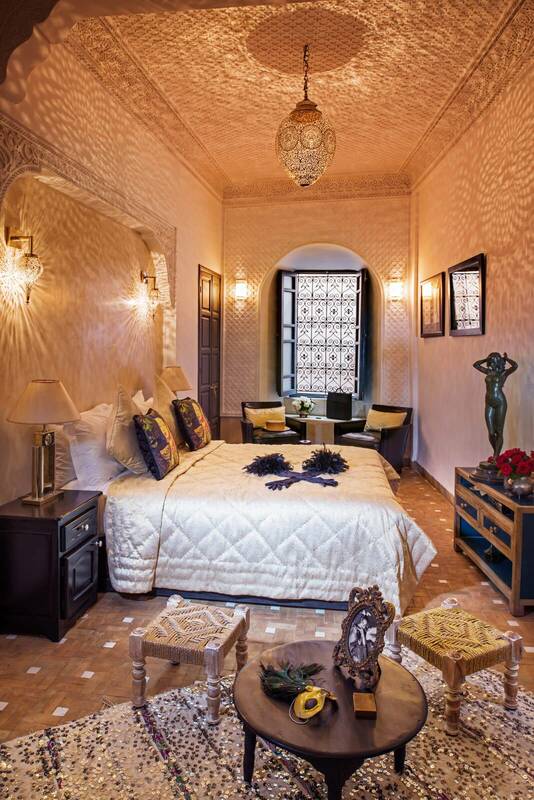 Located in the Hivernage district on the Rue Abou Hanifa the premises were cleverly converted from an ornate 1940′s wedding hall hung with cheeky celebrity portraits complete with Fez hats! The owner Claude Challe was often to be seen front of house bringing his own style of hospitality. There was usually a live DJ and music includes compilations from Challe’s own Budha Bar label. Stay in our Marrakech Riads and our staff will be pleased to help you make the most of your stay.